Actinic wrinkles are caused by cumulative damage brought on the elastic fibres and on collagen by the sun radiations, by the estrogenic lack and by the cellular slow down. 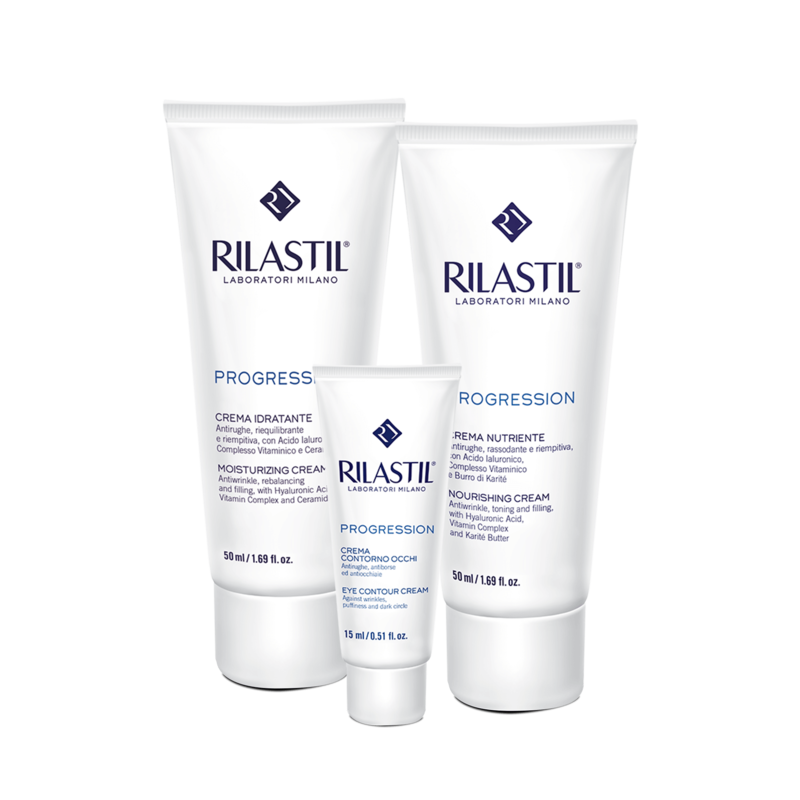 Rilastil Progression is the products’ line specific for the actinic wrinkles, formulated to treat and protect the face and body areas presenting the most evident age signs and suffering from elasticty lack. • Isoflavones: they have an antiwrinkle action, thus making the signs of ageing less visible (only in the Moisturizing Cream). 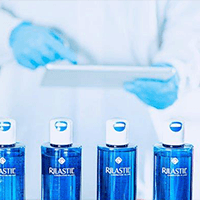 • Ceramides and Hyaluronic Acid: they give such a moisturizing and filling action to make skin more compact and tonic. • Vitamins: they have an antioxidant action, thus neutralizing the damaging action of the free radicals. • Shea Butter and Vegetable Oils: they have a nourishing action.